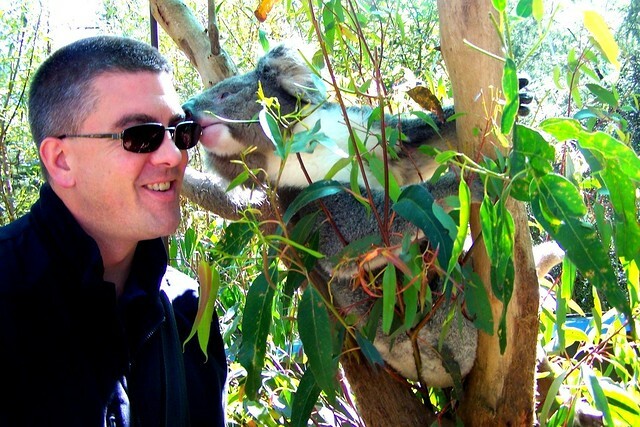 I never expected to be kissed by a koala, yet there I was being gingerly kissed by Australia’s fuzzy mascot. The koala in question was at the Healesville Sanctuary, a short drive from Melbourne and home to one of the best animal experiences in the world. Driving on the left hand side of the road is always a tricky issue for Americans, it just seems so wrong. Despite horrendous city traffic early in the morning and getting lost, or momentarily displaced as I prefer, we were a little late when we turned onto the tree lined suburban street that is home to the Sanctuary. Healesville started in the 1920s and since the very beginning has always been a research facility. It also evolved a unique tourist element, drawing visitors to witness firsthand the Australian wildlife on site. The Sanctuary was responsible for the first captive breeding of the platypus and is currently working diligently to protect near extinct endemic species. Healesville is primarily focused on species native to Australia and more than just a showcase, it is a living, breathing sanctuary in the purest of terms. The best way to encourage conservation is to have people interact with the animals, which Healesville has accomplished masterfully with its Magic Moments experiences. For an additional fee, guests can feed a kangaroo, pet a dingo or, perhaps, get kissed by a koala. These experiences are perfect for kids and tend to make kids out of adults. There is nothing as inherently pleasing as interacting with animals, and doing so in a way that actually helps their preservation is truly a great feeling. We began by feeding the kangaroos, who were clearly used to the star treatment. They lazed about as we at first nervously fed them bits of leaves and other assorted roo treats. After a few minutes I felt like a pro and pet the massive creatures as they munched down on lunch. The star experience for us was of course the koalas. We were told up front that in Victoria, guests are not allowed to actually touch the koalas themselves, unlike in New South Wales where you can take them out for dinner and a movie. However, there is no law saying that the koalas aren’t allowed to touch guests, probably because koalas are well known flouters of rules. I stood as close to the fuzzy grey bear as I was allowed for the requisite photos when the sloth like teddy came to life. You see, koalas aren’t the most active of creatures. In fact, for the most part you wonder if they’re even still alive. They move very little and usually only wake up to eat. Not a bad life, but not great for getting tourists excited. That’s why it was so remarkable that the breathing stuffed-animal not only started to move, but expressed an interest in me. He sniffed my hand, my shoulder and before I knew it he leaned over and gave me a kiss. I was so stunned, as was everyone around me, all I could do was smile – a moment of pure joy. 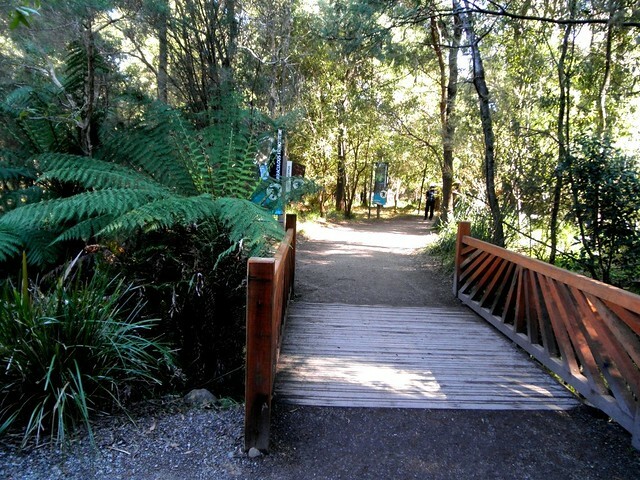 While the koala experience may have been the star of the show for me, there is a lot more to Healesville than just the Magic Moments. Walking around the park, for it really feels like a true nature preserve, the animals habitats are so expertly interwoven with the flora that you feel like you are discovering new species in the wild around every corner. Emus, dingoes, platypi all combine to represent the width and breadth of the bizarre panoply of Australian wildlife. Before leaving we stopped by the animal hospital which, just like the habitats, was designed to engage guests and teach them about the great work done everyday at the refuge. Glass enclosed surgeries and waiting rooms are open for all to see and TV monitors alert visitors to the next operation or check up that is to be performed. Sanctuary isn’t just a nice term at Healesville, it is a very accurate representation of what the doctors and biologists do every day. Animals from around the country arrive at their doorstep, oftentimes clinging to life, their last chance being the commitment and dedication of the professionals at the clinic. Engaging in wildlife experiences while traveling can be problematic for many tourists. It’s hard to know if the experiences are actually beneficial to the animals, or if it results in their continued maltreatment. It’s our responsibility to research such experiences beforehand instead of just avoiding wildlife experiences completely. 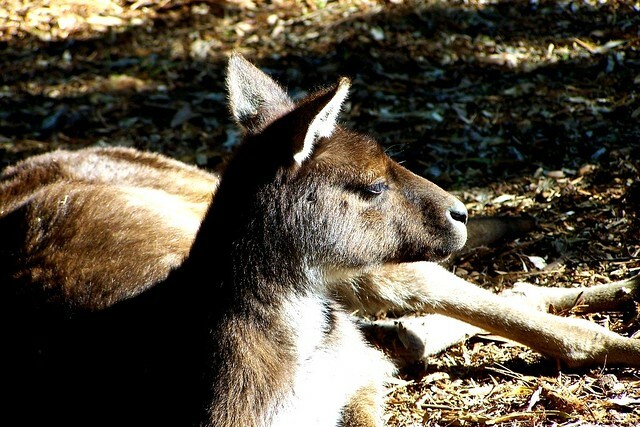 The experience at Healesville is the perfect example of engaging with wildlife while helping with their conservation. It’s also, in my opinion, one of the best wildlife experiences in the world. We saw Koalas for the first time yesterday at Australia Zoo. We thought they were very slothlike as well! That koala is so stinking cute!!!!!!! Great post! I’m heading to Melbourne next month and will have to add this to the itinerary!